Of, by and for producers. 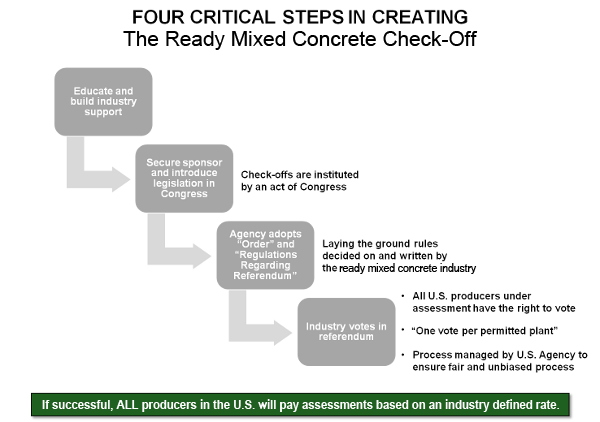 We as concrete producers control the check-off program, from funding to administration. A per-producer assessment of 15 cents per cubic yard will provide funds for state association activities and broad national initiatives. 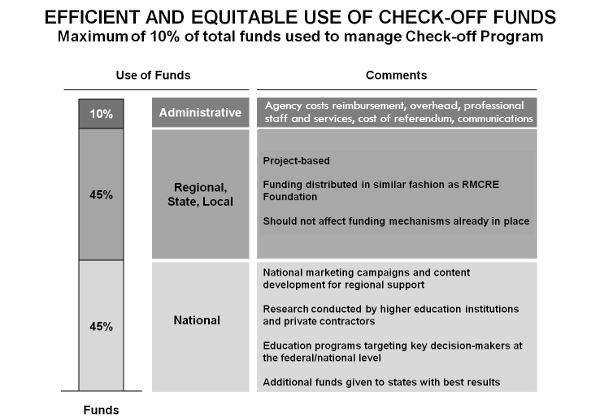 We will spend no more than 10% of our total assessment funds on administration. 45% of these funds will go back to state, area and local associations for local promotional, educational and research-efforts. Reward and repeat the most productive efforts of local associations that have proven their success to the producer selected board. 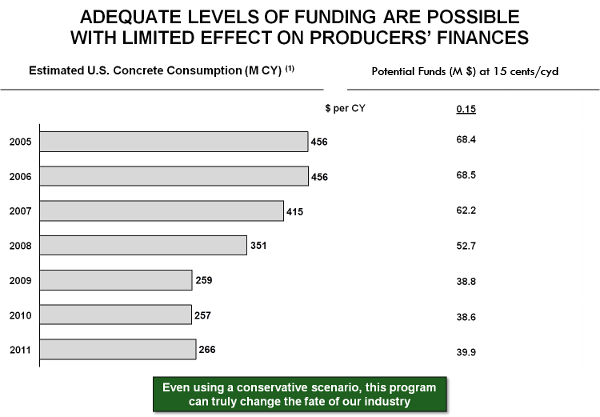 Fund national marketing promotions that measurably increase demand for ready-mixed concrete. Fund research on ready-mixed concrete to enhance our competitive advantage. (1) Based on USGS cement consumption applying factor for ready mixed concrete. 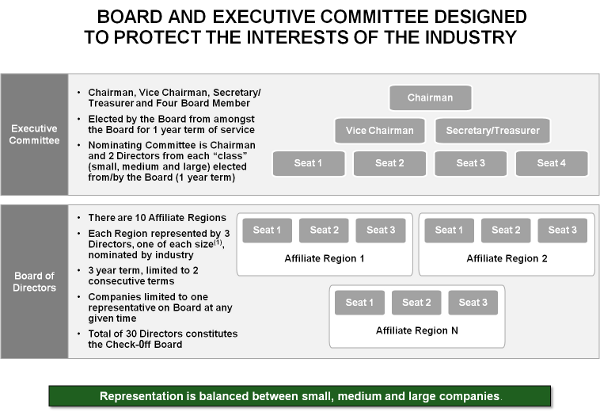 National and state associations will nominate a 30-member oversight board. Three board members will represent producers of all sizes (small/medium/large) within each of the country’s 10 regions, as defined by the National Ready Mixed Concrete Association. Voting in the industry-wide referendum will be based upon the number of plants each producer has permitted (as close as one company/one vote as possible). Each board member will serve a three-year term, which will be staggered so all are not coming in/going out at once. All board members are subject to term limits. The Board of Directors will elect seven of its members to an executive committee. Executive committee members will represent small, medium and large producers. Each executive committee member will serve a one-year term.